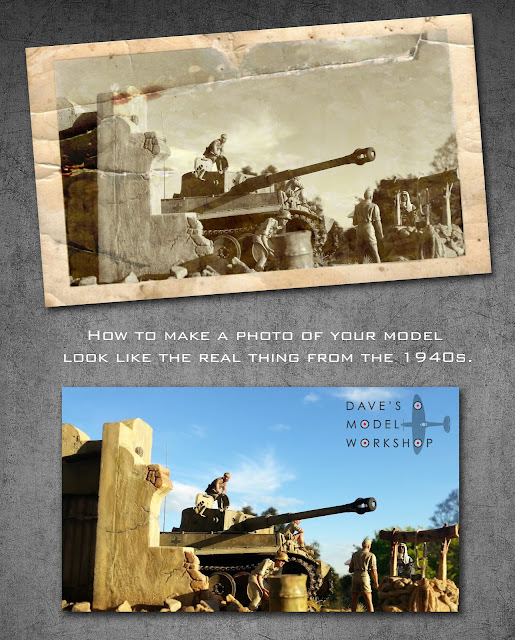 Dave's Model Workshop: The Tunisian Tiger diorama is complete! 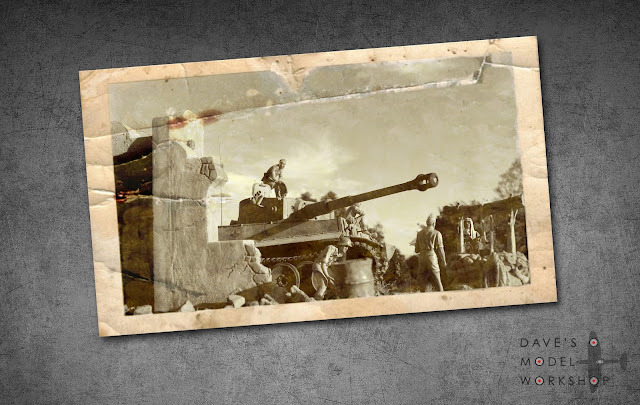 I have finished the Tunisan Tiger I diorama! But before I reveal all, I have been inspired lately by some very realistic photos of dioramas,with a suitable background behind them. I plan to take my diorama to a beach I know near Point Cook (just near the Royal Australian Air Force Museum, actually) and try to use perspective and bright natural sunlight to make my diorama photos almost the real thing. 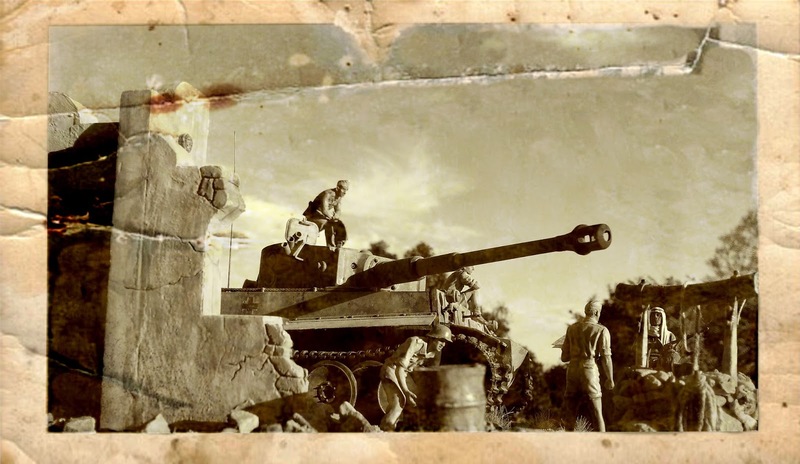 As part of this thinking, I have been having a bit of a play with Photoshop this evening, trying to replicate a 1940s photo feel for one of my diorama shots. Sometimes my career as a graphic designer and my hobby as a model maker align just right. I hope you like it. 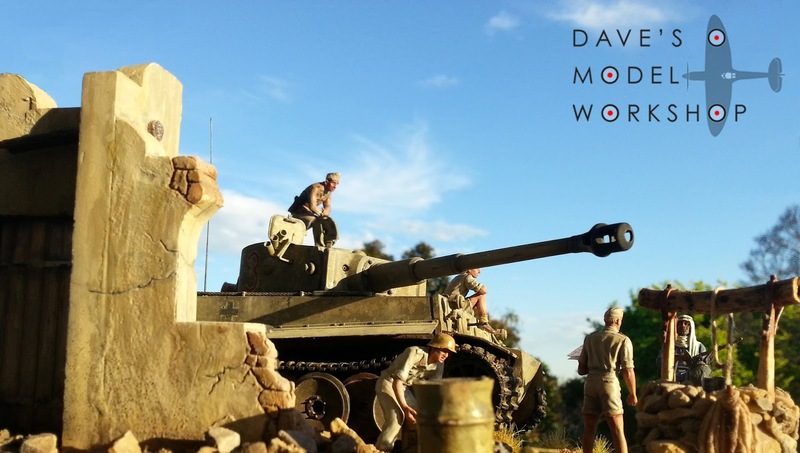 Photos of the full diorama to follow next week.